A prime payload of the 1998 spring flight of the Space Shuttle Columbia was Neurolab, a “space laboratory” packed with experiments focused on the human brain. The shuttle also carried what NASA researcher Kerry Walton termed “the first historically important scientific artifacts to be flown in space” — the original glass microscope slides and drawings of Santiago Ramon y Cajal, a scientific pioneer who changed the world of neuroscience in 1889. To many, Cajal is considered the “father” of neuroscience. 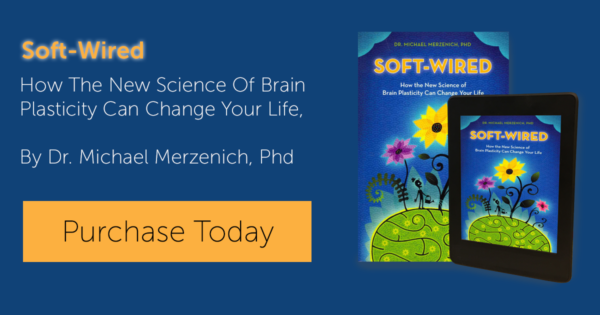 He is known for many significant discoveries, but he is best known for proving that independent neurons, or nerve cells, are the building blocks of the central nervous system. This fundamental breakthrough stemmed from Cajal’s insatiable curiosity, and an early passion to become an artist. What Cajal also displayed, even then, was a “tireless single-mindedness” that became a defining characteristic for the rest of his life, says William R. Everdell in his book, “The First Moderns: Profiles in the Origins of Twentieth-Century Thought,” (University of Chicago Press, 1997). “Not many could have watched through a microscope for two hours straight, fascinated, as he was, by a white blood cell oozing its way through the wall of a capillary,” notes Everdell. Not many would also become expert, at one time or another, in gymnastics, chess, philosophy, hypnotism and photography. Of the latter, Cajal was notably one of the first Spanish photographers to use color photography. His formal medical education was completed in 1873 at the University of Zaragoza, in his home region of Spain, where he also later taught. In 1877, Cajal spent the money saved from a tour in Cuba as a medical officer in the Spanish army to buy an old microscope. 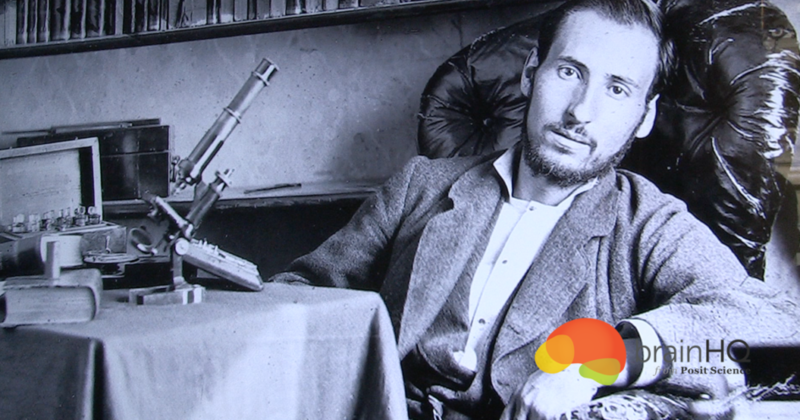 It would be another eight years before he was able to work on an up-to-date Zeiss microscope–a gift of the Zaragoza provincial government in return for Cajal’s volunteer work during a cholera epidemic. The light microscope, as Everdell observes, was “the supreme biological tool of the nineteenth century.” Cajal conducted much of his early histology research with the light microscope, studying and cataloguing the tiny anatomical structures of living tissues. He gradually realized that while he was not destined to become a successful artist, he could succeed with his meticulous drawings by making precise records of the cells and other tissue structures that he saw. This was long before cameras could be attached to a microscope, and his art became invaluable to science. Histologists became increasingly obsessed with the search for stains and dyes to make these tiny structures stand out from one another and from background tissue. They tried applying substances such as carmine, from the cochineal insect, methylene blue, chromic acid, and even a concoction containing gold. By the 1880s, another important research tool was developed but couldn’t yet be adequately exploited–the microtome. This finely calibrated tissue-slicer was invented by Dr. Berhardt von Gudden, Germany’s best-known psychiatrist who was also the therapist treating Mad King Ludwig. Cajal turned all his efforts to improving the silver nitrate technique. As Golgi had developed it, the staining involved including soaking the tissue in various substances. Cajal added several levels of preparation and made other refinements as the debate over the true structure of the central nervous system was intensifying. While no one had yet seen an entire nerve cell, or could tell whether it was independent or just part of a larger structure, some scientists already questioned the old “single network” theory. Fridtjof Nansen, better known today for his Arctic explorations, had joined several others in theorizing that nerve cells were independent, basic structures. Still, almost everyone else, including Golgi and Cajal, believed in the network structure. In 1887, Cajal became chair of Normal and Pathological Histology at the university in Barcelona. His most consuming work, however, was slicing, soaking, staining and affixing to glass slides, slivers of the cerebellum of the embryo of a small bird. Then he carefully drew what he saw under the microscope. He became an ardent convert to the independent-cell camp. In 1889, he was invited to show his drawings to the Congress of the German Anatomical Society at the University of Berlin. It could easily have been a disaster. The “short, powerfully built Spaniard with penetrating black eyes set up a small exhibit of drawings done on paper with colored inks,” Everdell writes, reconstructing the scene. Cajal had explanatory papers delivered to the German scientists in advance, but few who tried to read them knew any Spanish. Cajal delivered his speech in fractured French, but still won his case on the strength of his drawings and slides. “Each stained cell stood out perfectly against a background of staggering complexity,” writes Everdell, “and no matter how many times the tiny fibers of one nerve cell met those of another, there was clearly no physical connection between them. The basic unit of the brain–the neuron–had been isolated.” To this day, Cajal’s meticulous drawings are a defining fixture in neuroscience texts. In 1906, Cajal and Golgi shared a Nobel Prize for medicine. The two met for the first time in Stockholm, and while Cajal was tactful about sharing the prize, the two still disagreed about the structure of the brain. Golgi’s speech attacked Cajal’s concept of the independent neuron, while Cajal’s speech the next day defended it. Cajal continued his research, introducing four major new hypotheses, three of which are now accepted by neuroscientists. He died in Madrid in 1934. Because receptors (rods and cones) are at the back of the retina, an image actually passes through the retina three times: as light to the receptor cells (back); as neural signals through the initial visual processing of the retina (forward); as neural signals via the optic nerve to the brain (back again).